Big Green Monster is a must read kids book if you have little ones at home. It makes a cute Halloween book, but is also fun year-round. It’s also this week’s Virtual Book Club theme, and we invite you to join us in the FB group and share monster or book-related activities. 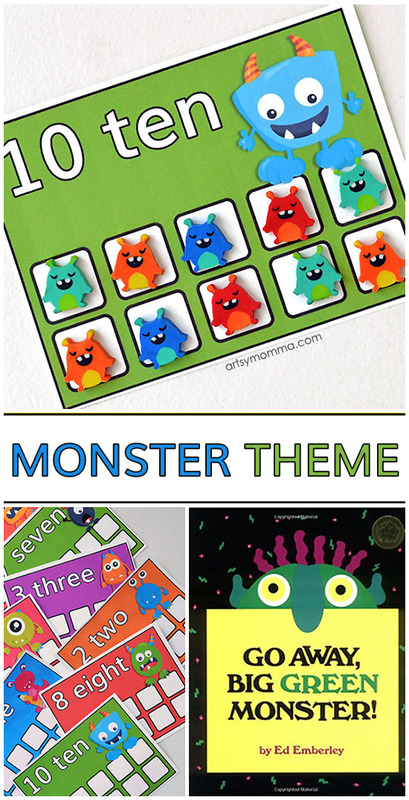 We are sharing mini monster eraser counting card printables as a fun tie-in to this week’s monster theme. *This post includes affiliate links (we may earn a comission on products ordered through these links). Read more here. You can find mini erasers at Target usually. If you don’t have mini erasers , you can use other items as counters . Some ideas are: buttons , pebbles (Dollar Tree), pennies, stickers , or bingo markers . 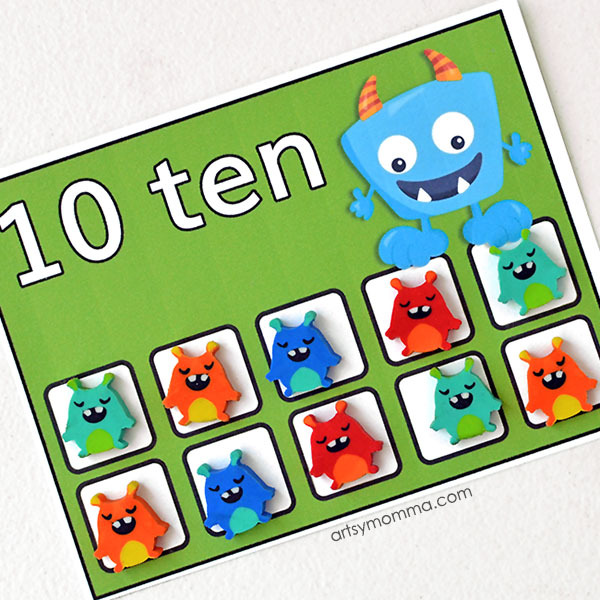 There are ten cards total, numbers 1-10. Print the math activity using the pink button below. Once printed, cut around the colored cards using the white space as a guide. I used a paper cutter for this part, of course scissors would work too. If you’d like, you can laminate them for extra durability. 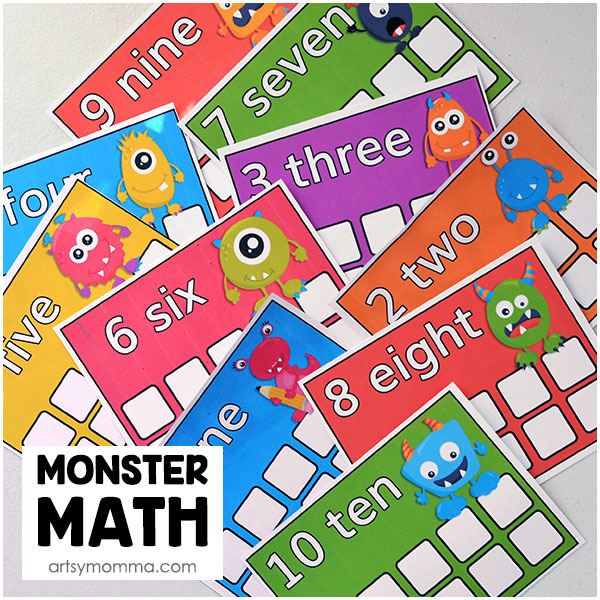 Grab a pile of mini monster erasers (or other counters) and the monster cutting cards and have your preschooler practice counting to ten. 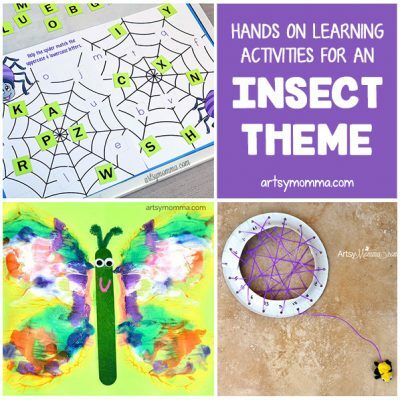 Fine Motor – important for prewriting practice. Sequencing – Have them place the cards in a line in the correct order. 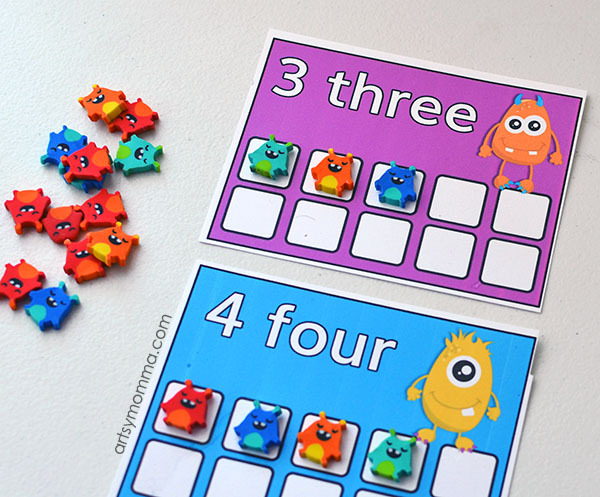 Patterning – Use different colored erasers/counters to incorporate patterns for the higher numbers. Place all the items in a zipped baggie or a small container to store and use over and over. 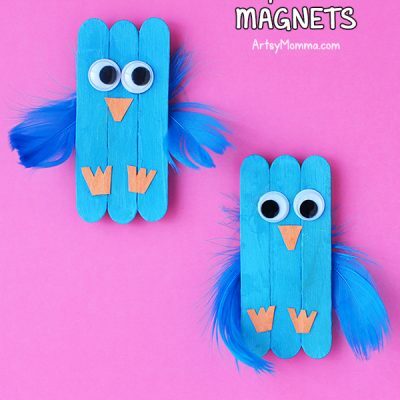 It makes a great quiet time activity or take along to use while waiting at a restaurant. This book is catchy, especially if you watch an online reading of it where the monster parts appear and disappear. The author meant for it to chase away kids nighttime fears. Kids can turn the pages of this die-cut book and watch the Big Green Monster grow. Then, when they’re ready to show him who’s in charge, they’ll turn the remaining pages and watch him disappear! See what the rest of the Virtual Book Club bloggers shared!